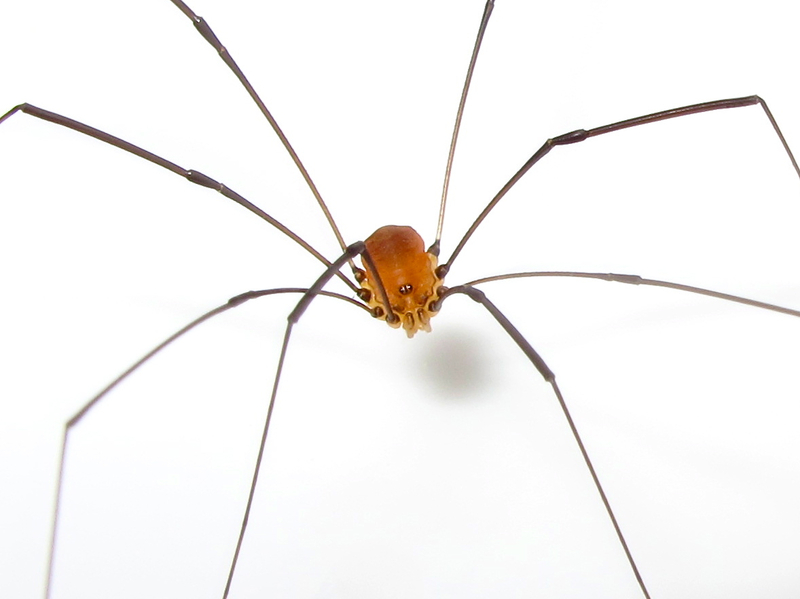 Today's post celebrates harvestman season. This one, a male Leiobunum rotundum, sat on an outside wall, all outstretched legs. 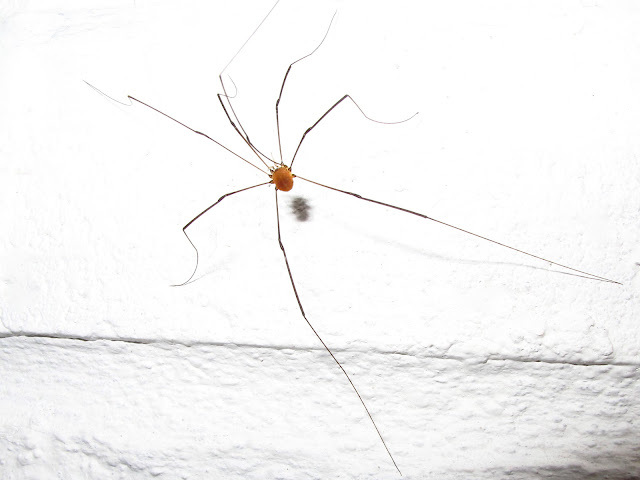 With an enormous leg span, well over 10 cm, it is amongst the longest legged harvestman in the UK. The species can be recognised by its dark mask around the eyes and contrasting black legs. Males have a rounded orange body, while females are brown-grey with a broad dark stripe along her back. The next photo gives you a idea of the relative size of the legs in proportion to the body. Very interesting - I know so little about harvestmen. Do you know of a good ID guide that covers British species? Thank you for your comment Dan. Unfortunately, I don't know of any guide to British species. I am using web based information for identification. You could use iSpot or Wild about Britain to obtain an id of the specimens you come across.